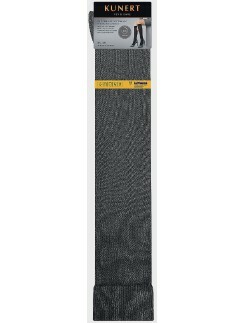 Here at Hosieria we have high-quality and attractive compression knee high socks, which help prevent heavy and tired legs due to sitting or standing for long periods of time. Choose from our wide range of compression knee high socks to match your look. 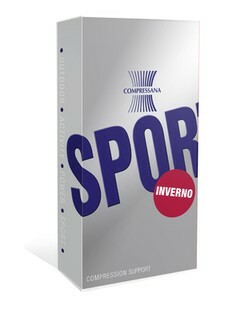 We have only the best ranked, top-quality brands like Nur Die, Compressana and Elbeo for compression products. 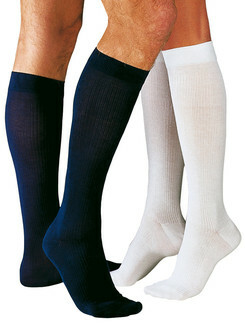 This selection includes knee high socks that are made of soft and skin-friendly cotton knit as well as other materials. There are also many variations in transparency and opacity as well as sizes and patterns. Don't hesitate and stock up now! 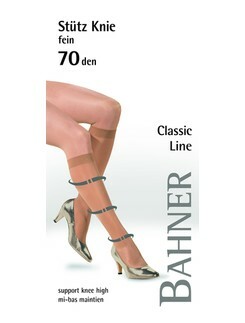 Our manufacturers use the best knitting technologies and exquisite material compositions to create our enormous selection of knee high socks to be durable, look good and and of course be comfortable. Narrow down your options by selecting the boxes on the left to filter for criteria such as material, size, and brand.